If you like Minecraft, you've probably heard it's music. Let's review the album! If you’re a fan of Minecraft, there’s a high chance you’ve heard a large majority (if not all) of the music that Mojang’s sandbox game has to offer. In this article, we will be discussing none other than C418’s “Minecraft - Volume Alpha” album. Why are we discussing an album you may be asking yourself? The reason that we will be talking about C418’s “Volume Alpha” is because his album features most of the songs in Minecraft! On top of it containing most of the songs available on Minecraft, it also contains unreleased songs that didn’t make the cut for the game. Minecraft’s music has always had a very ambient, atmospheric style. The music, when playing, will always kick in at the best times (completely randomly, might I add). Minecraft’s music has always been of the calmer variety. While some songs like “Moog City” may be a little faster at times, generally, they keep a consistent, calm likeness that players will easily let fade in and out of existence, potentially not even noticing that the music started up, which is a very wonderful thing when done correctly. At times, music in games can become very irritating and potentially even distracting. As C418’s music very light and gentle (especially on the “Minecraft - Volume Alpha” album), this gentleness lets players feel more immersed with their working. 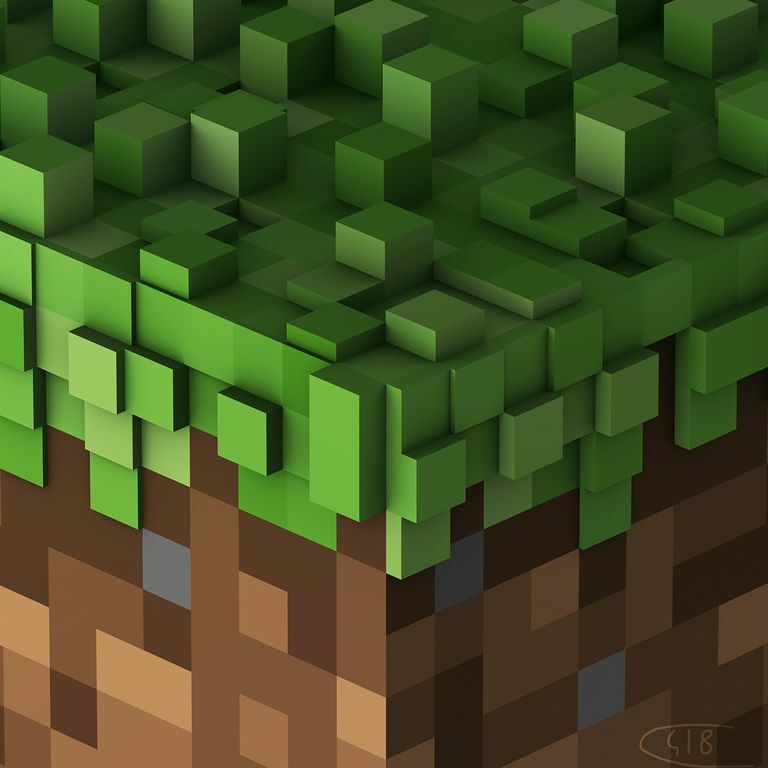 C418’s “Minecraft - Volume Alpha” features not a single song with singing. A wonderful addition to the album that I noticed in various songs is that the songs will “bleed together”. If you are unfamiliar with this concept, it essentially means that at the end of one song, the song immediately listed after the one which just ended will start playing for a few seconds before skipping to the next song. After the time has run out and the track ends, the next song will start, picking up from where the previous song left off. This effect of letting songs “bleed together” allow for C418’s album to feel very continuous, almost to the extent where listeners will miss the point where a song has ended or a new has began. The album features 24 songs. The songs featured on the album are as follows; “Key”, “Door”, ”Subwoofer Lullaby”, ”Death”, ”Living Mice”, ”Moog City”, ”Haggstrom”, ”Minecraft”, ”Oxygène”, ”Équinoxe”, ”Mice on Venus”, ”Dry Hands”, ”Wet Hands”, ”Clark”, ”Chris”, ”Thirteen”, ”Excuse”, ”Sweden”, ”Cat”, ”Dog”, ”Danny”, ”Beginning”, ”Droopy likes ricochet”, and ”Droopy likes your face”. Each song has a very unique sound and style which allows for all of them to have potential to be somebody’s favorite. “Minecraft - Volume Alpha” runs for approximately 60 minutes (58 minutes, 51 seconds to be precise). “Minecraft - Volume Alpha” is a wonderful album to listen to when you’re sitting back and doing work or even playing the game in general. The album is currently available for download on C418’s Bandcamp for 4 dollars (USD). If you’d like a physical copy of the album, you can buy it from TheGhostlyStore.com ranging anywhere from 12 to 28 dollars (USD). The album is available in CD format or vinyl. As of writing this article, the options available for purchase are Lenticular Jacket and Black Vinyl, Green Vinyl, CD, and MP3. Each purchase comes with an MP3 download of the album. Keep in mind, purchasing the MP3 version would be smarter to go through Bandcamp (unless you’re buying a physical copy). If you’re a fan of any of C418’s music, I encourage you to support this musician and buy this album. If you’re unsure on whether or not you would enjoy the entire album, you can stream the full album on his Bandcamp profile before purchase.